It was an interesting Friday at the St. Augustine Lighthouse & Museum. Jenny Lynn, our head educator, came in period dress from the 1760's as a lady pirate for the lightouse summer camp. 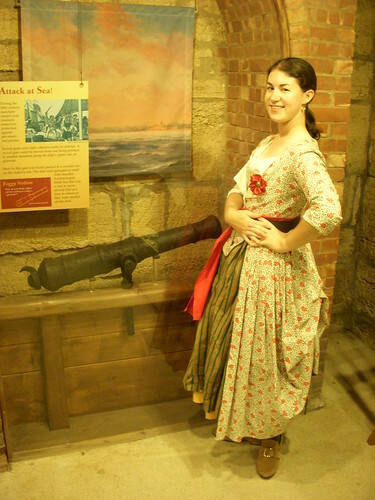 I shot a picture of her in front of the swivel gun from the shipwreck "Industry" (on display in our museum), the first British supply sloop to come down the coast from the northern colonies to outfit the British garrison when they took posession of St. Augustine at the end of the French and Indian War. She sank in 1764. The lack of flash with the picture gave it an antique look complimenting the 18th Century theme. Jenny models her hand-made 18th Century garb. On the way to the photo shoot with Jenny, some antique cars came down the road and I waved them into the site and gave them free admission in exchange for a few pictures. It was a family group visiting the nation's oldest port from just south of Atlanta. 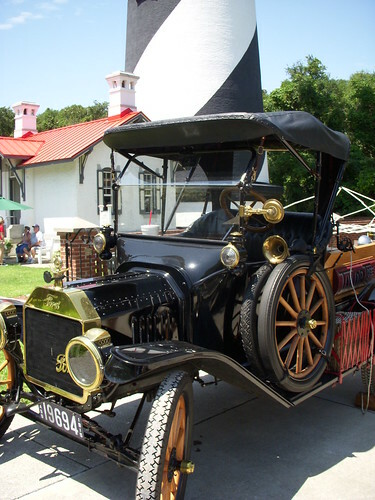 My favorite vehicle was a Ford truck from 1912. We parked them so we could see early 20th Century technology with our 19th Century lighthouse in the background. Finishing out my work day I went home and turned on streaming video from the NASA website. A couple of weeks ago my wife and I attended a party at Kennedy Space Center Visitor Complex for the unveiling of the Shuttle Launch Experience and were able to experience a shuttle liftoff in the new ride. It was a great experience followed by an evening with good food and entertainment by Manheim Steam Roller. But now was the launch of Space Shuttle Atlantis to continue building the International Space Station. At T-minus 5 seconds we all ran out into my front yard to watch the liftoff and wish the crew of STS-117 Godspeed. It was spectacular. 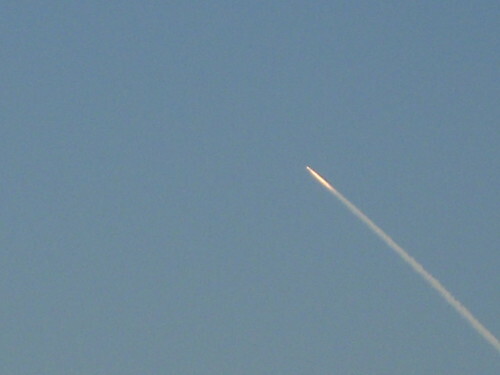 We could see the solid rocket boosters separate although I could not capture it on camera. We live two hours north of Cape Canaveral. 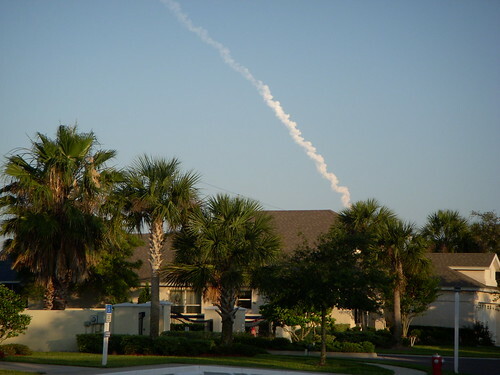 STS-117 Atlantis from my front yard. She's already in orbit. Godspeed Atlantis! 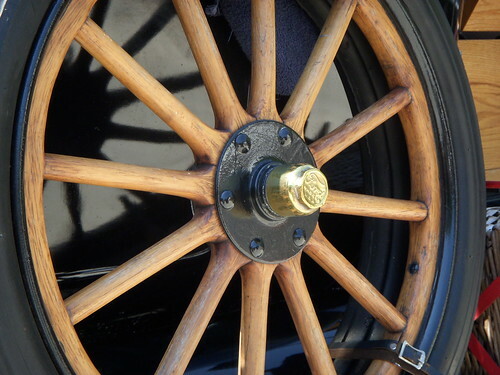 After the launch I realized that in one day I had encountered four centuries of history here in St. Augustine. The campers were learning about 18th century piracy; the lighthouse, which was built in the 19th century; the cars dating from early 20th century; and the space program reaching into the 21st century. As days in my life go... this one is a keeper (no pun intended). Very interesting work and play in your life! Enjoying catching up on all your "doings." Will visit again to see what's new. Keep up the good work!